With the growing popularity of youth climbing competitions and the recent press of pre-teen climbers sending V12 and 5.14 routes, many parents—and some coaches as well—are suspicious that these elite youth climbers must be involved in some secret, arduous strength training program. The truth is, however, that elite youth climbers develop as the result of an early introduction to climbing (often between ages 4 and 7), high-quality coaching, dedicated practice, and a slight (often prepubescent) physique. So what is the best way for a youth climber to train, and what can a coach or parent do to foster a youngster’s interest in climbing, while at the same time keeping it safe and fun? As both a parent and coach of two elite youth climbers, I’ve spent much time the last decade researching and developing a youth climbing philosophy that I feel it safe, effective, and appropriate. I’ve written a primer on this important subject—for coaches and parents—in the form of a full chapter on “youth training” in my book, Learning to Climb Indoors. 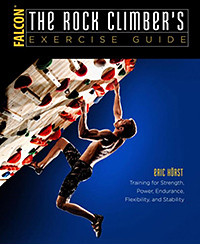 This text is an excellent beginner’s guide to indoor climbing, and the youth training chapter includes guidelines for training skill and strategy, cognitive development, physical fitness training, and injury prevention. Until you have a chance to check this book, I present you with five articles that layout outline my philosophy of youth training for climbing. Just below is an introduction to indoor climbing (for parents new to the sport). 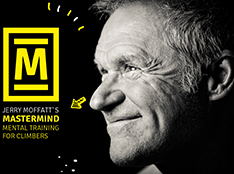 Experienced coaches and parents can scroll down to the links to four articles that I trust you’ll find informative and invaluable. What do you get when you combine video-game-like cognitive engagement with the physical rigors and thrill of ascending a rock wall? Surely, you get one of the very best recreational and character-building activities available to youths of the twenty-first century! Given the emergence of youth climbing as a competitive sport, it’s not surprising that many young climbers (and their parents) are looking for personalized training and formalized coaching. 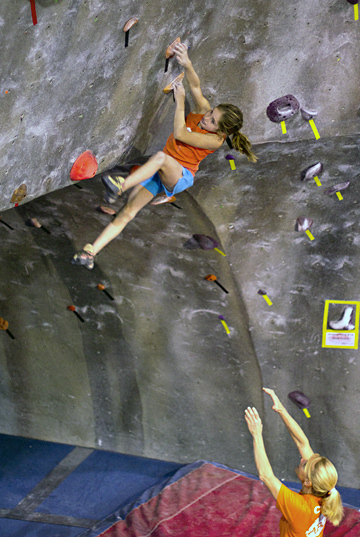 While many gyms are fortunate to have a qualified coach on staff, some budding youth climbers are left with the daunting task of self-coaching or parent-directed coaching. Little has been published on the subject of training for youth climbers, and so without proper guidance some youths end up copying the training practices of adult climbers they observe at the gym. When it comes to safe, effective training for climbing, however, youths cannot simply be treated as “little adults” who are given a proportionally smaller serving of an adult training program. Youth climbers have unique strengths and limitations, and they are vastly different from adults both physiologically and psychologically. A growing body of research and real-life coaching experiences will hopefully soon lead to a full book on the subject of training for youth climbers. As both a coach and father of two elite youth climbing, I’ve spent much time the last decade researching and developing a youth climbing philosophy that I feel it safe, effective, and appropriate. I’ve written a primer on this important subject—for coaches and parents—in the form of a full chapter on “youth training” in my book, Learning to Climb Indoors. 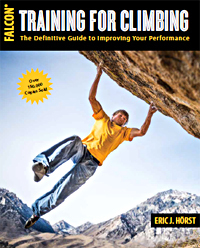 This text is an excellent beginner’s guide to indoor climbing, and the youth training chapter includes guidelines for training skill and strategy, cognitive development, physical fitness training, and injury prevention. Below are links to four articles that outline my philosophy of youth training for climbing.